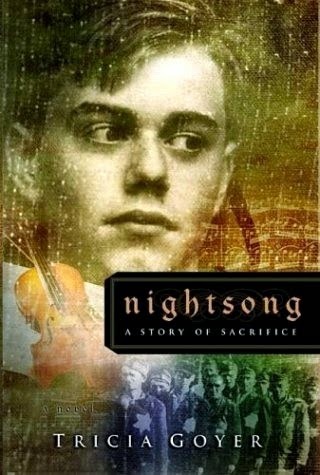 Compelling and heart wrenching, Tricia Goyer tells the story of the orchestra of Mauthausen. This orchestra, composed of famous Jewish musicians, was forced to play for their lives in the concentration camp. We see the war through many different views in Night Song. Evie, a young Viennese woman who is involved with the resistance and witnesses the liberation of Mauthausen. Nick, an American medic who is in love with Evie and will travel to the ends of the earth to find her. Otto, an SS Soldier whose thirst for power and riches overwhelms him. Finally, Jakub, a young Jewish prisoner whose magnificent talent brings hope and joy to those he is around. much, yet they know that the Lord is leading them and taking care of them. In the end we discover that the wealth and power of this world can not compare with a personal relationship with our Lord, Jesus Christ. It took me a little longer to read this book, only because it was so emotional for me that I had to put it down and take a break. Tricia Goyer does a beautiful job of depicting the horrors and sorrows of the camps and all those who were affected by it, without being gory. It made my heart ache for those who lived and died in this hell. I highly recommend this book to anyone who enjoys World War II fiction. You will not be disappointed!